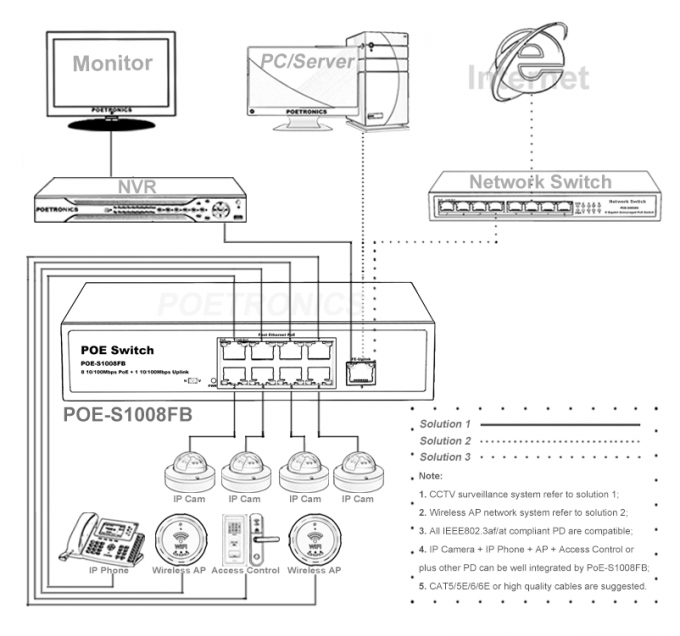 POE-S1008FB, is 8 port fast Ethernet Power over Ethernet (PoE) Switch, IEEE802.3af/at compliant and equipped with 150W built-in power supply source, which enables it compatible with most powered device such as Wireless Access Point, Network CCTV Camera, Portable Device, Voice over Internet Protocol, etc. There has AC100-240V and DC48-57V two different power supply modes for POS-S1008FB, either power input mode is workable as appropriate, and it comes with Default normal sharing system mode and VLAN port isolating mode switchable. 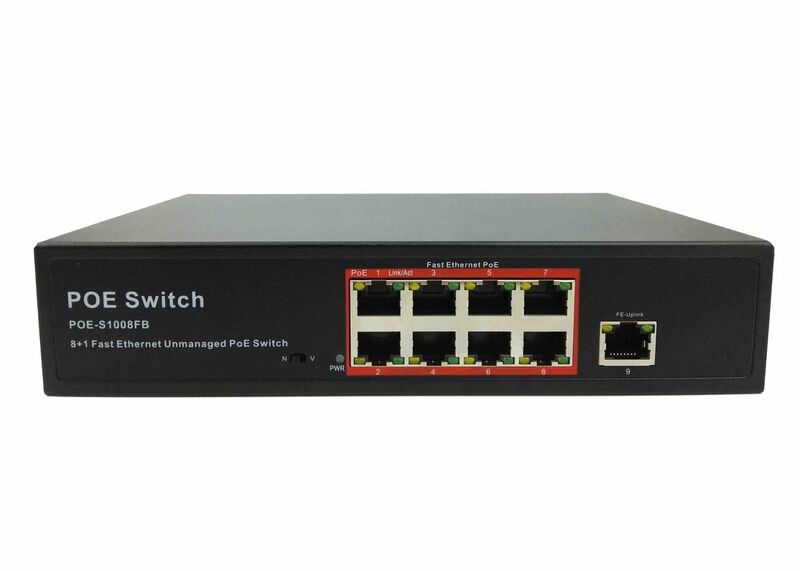 All in all, this PoE switch is practical, widely used and popular in the market. 8 port 10/100Mbps POE + 1 port 10/100Mbps Uplink. Compliance with IEEE 802.3af/at, 1.8G bandwidth. Max 30W for a single port, total rated output power 150W. All ports support wire speed switching, jumbo frame transmission.